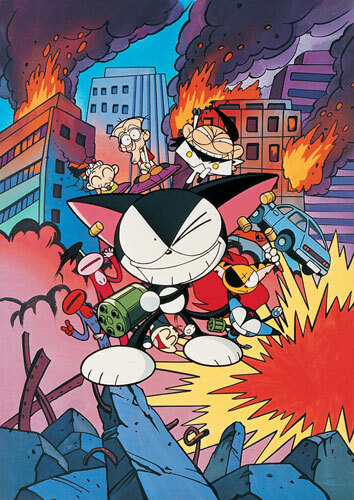 This half hour TV animation series is about the story of Blackie, the strongest cat in town. While protecting his carefree elderly couple care-takers. Blackie generally leads a happy life. However, the evil scientist, Dr. Go wants to change him to a cyborg, and use him in his evil plot to take over the world. © NAOKI YOKOUCHI/KODANSHA • PUBLIC & BASIC • TVA. Licensed by Animation Int'l Ltd.